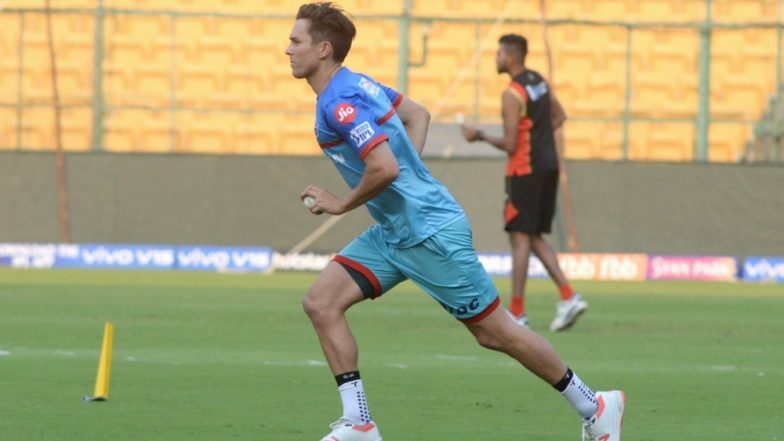 Things have heated up in the Indian Premier League 2019 (IPL 2019). We are near the completion of first phase of round-robin matches and most teams have played at least five matches. Royal Challengers Bangalore (RCB) remains the only team yet to win a match this season. Meanwhile, it is time for another double-header in the IPL, but before getting into the details of the start time, live streaming and live score of today’s IPL 219 matches, we take a look at the IPL 2019 points table scenario below. IPL 2019 Schedule in PDF: Download VIVO Indian Premier League 12 Full Timetable With Fixtures, Matches, Team and Venue Details. Defending Champions Chennai Super Kings (CSK) earned their playback on the top of the IPL 2019 points table. The MS Dhoni-led side has won four out of its fives matches. CSK is flooded by Sunrisers Hyderabad (SRH) who have won three out of five matches. Kolkata Knight Riders (KKR) and Mumbai Indians (MI) are the other two teams in top five. IPL 2019 Points Table Updated: MI Breaks Into Top Four Following Win Over SRH, CSK Leads the IPL 2019 Team Standings. In the first match on Saturday, defending champions CSK got back to winning ways following a win over KXIP. Set 161 runs to win, Punjab could manage only 138 in their allotted 20 overs. CSK were powered to 160 by MS Dhoni’s unbeaten 37 off just 23 balls. Far du Plessis also scored valuable 54 off 38 balls. CSK vs KXIP Stat Highlights: Chennai Super Kings’ All-Round Performance Leads Them to 22 Run Victory Over Kings XI Punjab. In the second match on Saturday, debutant Alzarri Joseph starred in Mumbai Indians’ win over Sunrisers Hyderabad. Mumbai set Hyderabad paltry target of 137 runs to win but the hosts were undone by Jospeh’s record-breaking 6/12 and were bundled out for just 96 runs. SRH vs MI Stat Highlights: Debutant Alzarri Joseph Claims Best Bowling Figures in IPL As Mumbai Indians Beat Sunrisers Hyderabad by 40 Runs. Royal Challengers Bangalore and Delhi Capitals, face-off in the IPL 2019 match 20. It will be played at RCB’s home venue- M.Chinnaswamy Stadium in Bengaluru. The RCB vs DC is scheduled to begin at 04:00 p.m (IST). Fans can watch the IPL match two both on TV and via online streaming. Star Sports holds the telecast rights of IPL 2019 and will broadcast the match live across its network. The live streaming online of IPL 2019 will be available on Hotstar app and website. Fans can click here, for RCB vs DC live score updates. Rajasthan Royals and Kolkata Knight Riders, face-off in the IPL 2019 match 21. It will be played at RR home venue- Sawai Mansingh Stadium in Jaipur. The RR vs KKR is scheduled to begin at 08:00 p.m (IST). Fans can watch the IPL match two both on TV and via online streaming. Star Sports holds the telecast rights of IPL 2019 and will broadcast the match live across its network. The live streaming online of IPL 2019 will be available on Hotstar app and website. Fans can click here, for RR vs KKR live score updates.